Home | Pregnancy | Pregnancy Trimesters | What Happens in the Second Trimester of Pregnancy? The second trimester of your pregnancy covers week 14 to week 26, and involves a whole lot of changes for you and your developing baby. If you haven’t already, then you may find that as your baby continues to grow you may start to experience indigestion or heartburn after bigger meals. Speak to your health professional who may advise you on what you can take to help with this. You could try stocking up on the peppermint tea and eating smaller portions more often. You will be having antenatal appointments with your midwife throughout your second trimester, to check both yours and your growing baby's health. One of the tests you will be offered will be to check for down's syndrome. If you haven't had the combined nuchal scan and blood test at your dating scan, you will be offered a blood screening test for down's between week 15 and week 20 of your pregnancy. 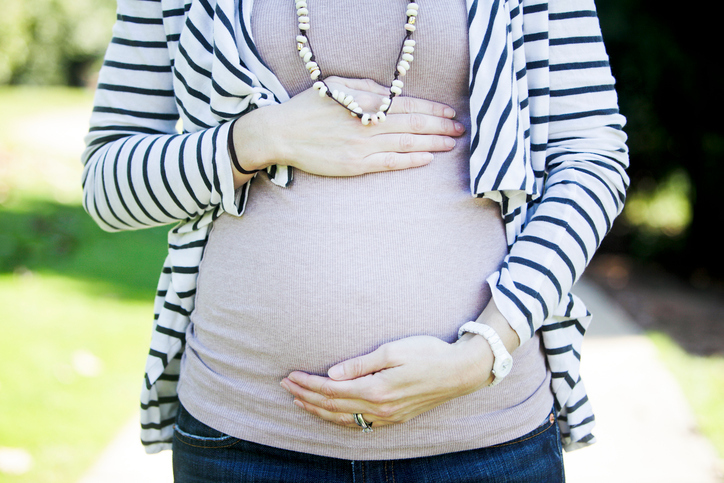 Find out more about your Second Trimester Journey with our week by week pregnancy guide.